I cannot believe we only have a month left of 2014, it’s crazy! I have a fragrance favourite for you this month by Dolce & Gabbana. It is not one of their well-known ones, but when I described what I wanted from my next scent to the lady in Boots this is what she recommended. It is Dolce & Gabbana 3 L’Imperatrice, and it smells divine! I like quite sweet scents and usually wear perfumes such as Viktor & Rolf Flower Bomb, but this time I still wanted sweet, but wanted something less girly, a bit more sophisticated and grown-up. It is absolutely gorgeous, next time you are at Boots give it a sniff! 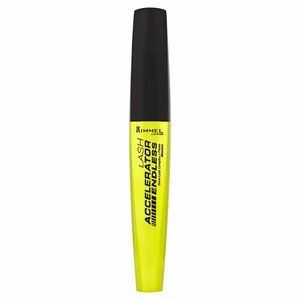 Make-up wise I have absolutely loved the Rimmel Lash Accelerator Endless Mascara. This makes my already quite long eyelashes look even longer. It really lifts them and separates the lashes beautifully and is really good value for money being priced at under £8! I recently discovered, on one of my many Space NK visits, the By Terry Baume de Rose range and managed to be convinced to by one of their Christmas sets. It came with an original Baume de Rose and some of the new coloured collection all in little lipgloss form. I love the scent of these and how soft they make my lips feel. I can feel another expensive habit coming on!! I have been looking forward to being able to drink the Christmas coffees from Starbucks since forever, and as you will no doubt know, I can now stomach coffee and have been relishing my new found love on the Eggnog Latte from Starbucks made with their Christmas blend. 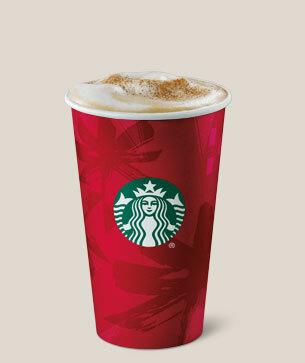 I have also tried the Toffee Nut latte but wasn’t totally one over. Next stop is the Costa options! My favourites list feels somewhat short this month, but don’t worry as I have a feel December will be jam packed full of goodies!